These delightful pair of bar stools where influenced by the industrial and modern age. This stylish and practical piece will make a perfect addition to your home. 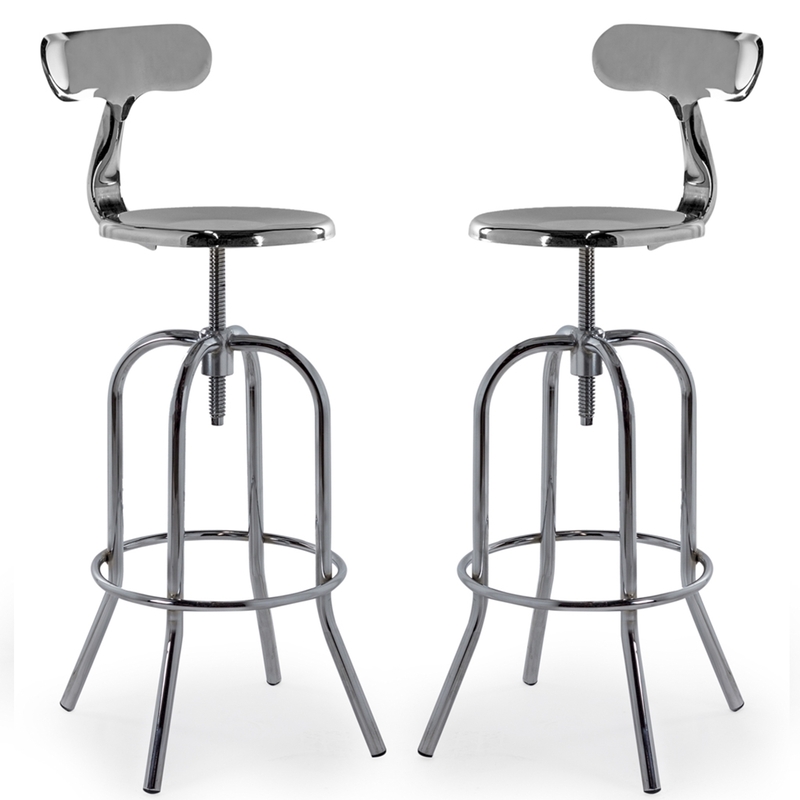 Complete with a practical adjustable seat, footrest and backrest, these bar stools finished in chrome are sure to provide great seating options in your dining room today.